The sharing economy isn't just for vacation rentals and car trips. It's changing the way people across the globe host and attend dinner parties. And a new-to-D.C. startup is hoping to shake up your Friday nights. WASHINGTON — Fifteen minutes before dinner guests are expected to arrive, Rebecca Peress puts the finishing touches on a platter of butternut squash kugel bites with honey harissa tahini and checks the progress of a pan of chicken thighs, browning in the oven. 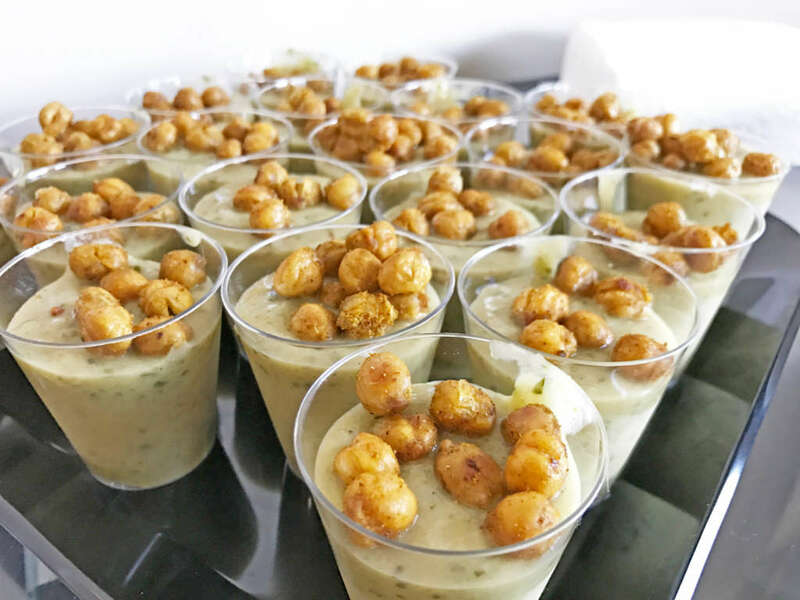 “We’re also having curry deviled eggs, zucchini soup shooters with crispy chickpeas, and potatoes and cauliflower with date-tamarind chutney,” said Peress, as she runs through the evening’s menu. The table — or rather, a few tables of similar height that have been pushed together — in her one-bedroom Columbia Heights apartment is set for 13. Desserts, including vanilla panna cotta with matzo granola and coconut-chocolate matzo toffee, sit to the side. Peress’ dinner party isn’t the typical gathering the George Washington University graduate and local food entrepreneur is used to hosting. It’s a Shabbat dinner that she set up and organized online. In recent years, companies such as Feastly and EatWith have tapped into the successful sharing-economy model in an attempt to change the way people across the globe host and attend dinner parties — often by bringing strangers together around a communal table. 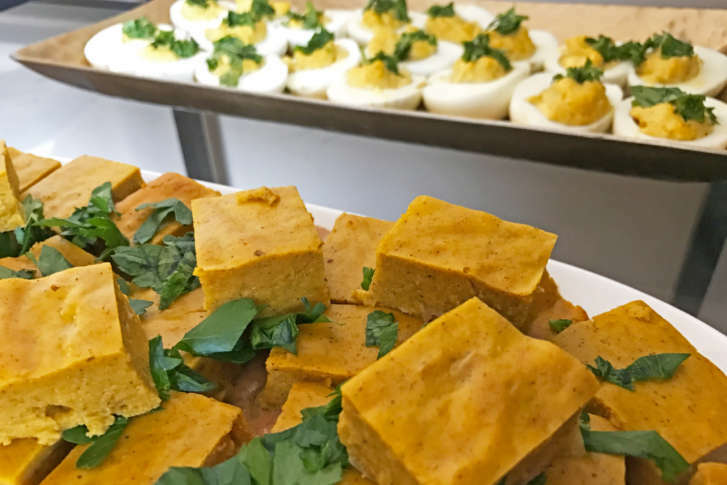 Now, the new-to-D.C. platform, OneTable, is offering something similar — only it’s specific to Friday night Shabbat dinners (and you don’t need to be Jewish to participate). On OneTable’s website, those interested in hosting a Shabbat dinner post the details of their upcoming event, including the date, time and size of the party, while those interested in joining a dinner can peruse through the options and request to attend a Shabbat of their choosing. In March, Washingtonians used OneTable, which also operates in New York, Chicago and San Francisco, to organize 89 Shabbat dinners. At any given time, there are around 30 dinner events posted to the D.C. page. “I think that people are looking for a space where they can come together,” said Marina Rostein, D.C. hub manager for OneTable. “Growing up in my house, we had Shabbat every single Friday, and it was always something very special to me because my father was a surgeon and he wasn’t around much. But Friday night, he made a point to be home,” Peress said. 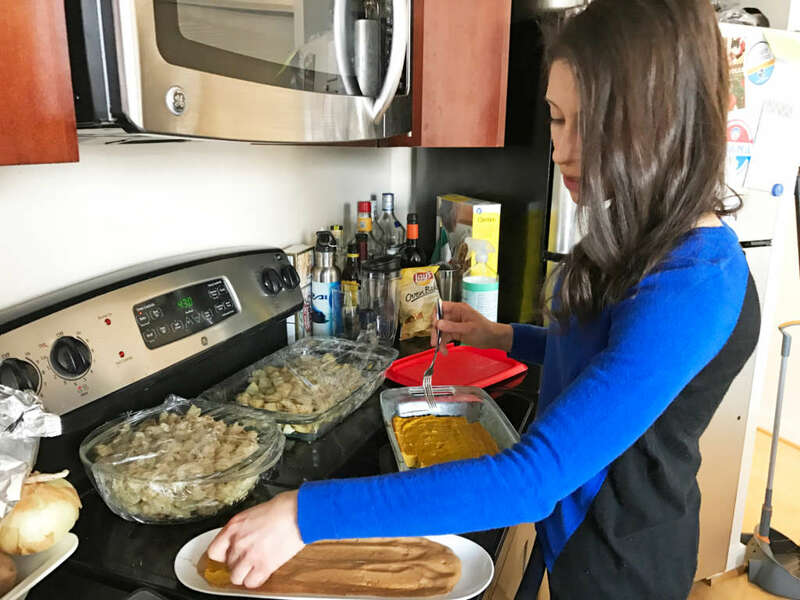 When she moved away from home to attend college, Peress missed the family tradition, but says OneTable has helped reconnect her to the weekly Jewish ritual. She even met her boyfriend at a friend’s OneTable Shabbat. “I think everyone who’s present at the dinner table is there for the same reason, which is to celebrate the end of the week and come together and kind of appreciate what we have in front of us and around us, all together,” Peress added. OneTable specifically targets post-college millennials in their 20s and 30s. The startup vets its hosts though an application process and even offers coaching services to help hosts with menu prep and planning. Most dinners posted to OneTable’s website are free to attend, and hosts receive a stipend of $15 per person ($150 maximum) to help offset costs and elevate the overall experience of the event. Hosts have the option to make their dinners private events for their friends only or open the meals up to others in the community. Peress, who just hosted her first OneTable Shabbat, knew most of the people coming to her dinner — one attendee was new to the group. Rostein says while Shabbat is a Jewish tradition, OneTable hosts and attendees do not need to be Jewish to participate. It’s open to everyone. “We really want these dinners to be proportional to what your friend circle is, so our goal is not to have people not including people who may not be Jewish. We want all those people at the table,” Rostein said.